The head of the all-girl private school attended by Christine Blasey Ford, the woman who has accused Brett Kavanaugh of assaulting her in high school, has circulated a statement to its alumnae in support of Ford, stating “As a school that empowers women to use their voices, we are proud of this alumna for using hers." The backdrop: This comes a day after Ford, a 51-year-old research psychologist from California, went public about the alleged sexual assault — just days before the Supreme Court nominee was expected to be confirmed. Susanna Jones, Head of Holton-Arms School, said her statement is not connected with the school's alumnae office. As many of you have heard, fellow alumna, Christine Blasey Ford ’84, has come forward with allegations that Supreme Court nominee Brett M. Kavanaugh sexually assaulted her when she was a teenager at which time she was a student at Holton-Arms. 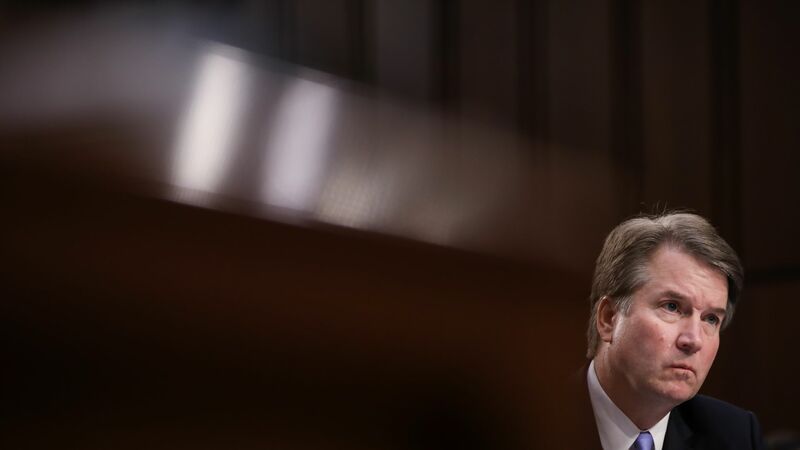 In a recent article, The Washington Post describes an alleged assault of one of our alumnae by Supreme Court nominee Brett M. Kavanaugh that occurred in the early 1980s, while she was a student at Holton-Arms. In these cases, it is imperative that all voices are heard. As a school that empowers women to use their voices, we are proud of this alumna for using hers. We have heard via individual communications and the Holton Alumnae Facebook page that Blasey Ford ’84 has received an outpouring of support from her fellow alumnae. This expression of solidarity is exactly what we would expect from the Holton sisterhood. We have also learned that some alumnae are circulating a letter in support of Blasey Ford. We applaud independent initiatives of this sort. However, please know that a group of alumnae initiated this communication independently, not the Holton Alumnae Office. As we said in the public statement, we commend Blasey Ford’s willingness to share her story; we also respect that there are a range of opinions about this situation. In addition, we understand that the press has contacted a number of Holton alumnae. Please know that the School has not released any alumnae contact information to the press, nor would we ever do so without a person’s express permission. All media contact with the School is channeled through Director of Communications Ellen Hatherill. Thank you for your continued support of your alma mater and your fellow alumnae.